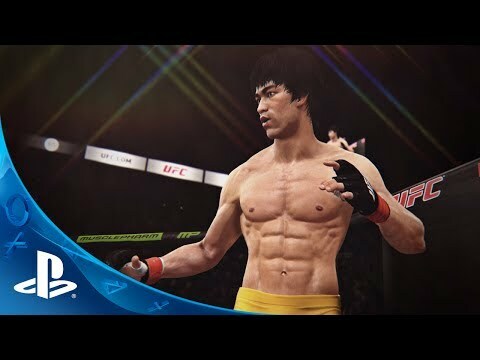 The creators of the critically-acclaimed Fight Night franchise bring you into the next-generation of fighting. © 2014 Electronic Arts Inc. EA, EA SPORTS and the EA SPORTS logo are trademarks of Electronic Arts Inc. EA MAY PROVIDE CERTAIN INCREMENTAL CONTENT AND/OR UPDATES FOR NO ADDITIONAL CHARGE, IF AND WHEN AVAILABLE. © 2014 Zuffa, LLC. Ultimate Fighting Championship®, Ultimate Fighting®, UFC®, The Ultimate Fighter®, Octagon Girls®, Submission®, As Real As It Gets®, Zuffa®,The Octagon® and the eight-sided competition mat and cage design are registeredtrademarks, trademarks, trade dress or service marks owned exclusively by Zuffa, LLC and affiliated entities in the United States and other jurisdictions. All other marks referenced herein may be the property of Zuffa, LLC or other respective owners. Any use of the preceding copyrighted program,trademarks, trade dress, or other intellectual property owned by Zuffa, LLC is strictly prohibited without the express written consent of Zuffa. All rights are hereby expressly reserved.